Medical appointments are arguably the most important appointments for your patients. Their health literally depends on showing up. Nevertheless, many medical practitioners experience a high percentage of no-shows until they start using our patient reminders. Reminding your patients to come to your office is the ethical thing to do. After all, some of your patients really need diagnostic services to prevent a greater health scare down the road. And while patients have to be responsible for their own health to a certain extent, health practitioners should make every effort to encourage compliance with their medical recommendations. 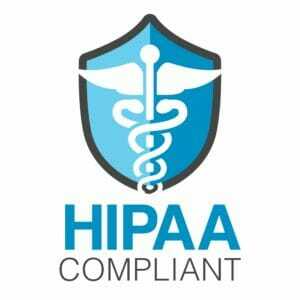 The use of HIPAA compliant medical reminders benefits your office staff as well. Your employees can spend more time on taking care of your patients when they show up instead of tying up the phone lines with reminder calls. Your patients will appreciate it when your receptionist is not rushing them through the check-in process. A lot of appointments are made far in advance. A friendly reminder can encourage your patients to show up even when they don’t remember making the appointment because it was done months ago. Most medical professionals who use our services experience a huge reduction in no-shows. In fact, a reminder system is worth it financially even if you only prevent ONE no-show. Of course, another real benefit is that you won’t have to spend all day at work waiting for patients who don’t show.